Thanks for this updates. I like this plugin. i recently took over a site that is using thyis plugin version 1.5.2.6 and when i upgrade to 1.7.4, the site breaks.. all of the pages give a ‘not found’ and i’m not sure why. i don’t think the previous person did any custom coding as they weren’t technical enough but they did update a lot of the settings for this plugin. is there something i can look at that makes this happen that maybe someone else encountered? tried using this reply form 3 times now and can’t get my issue posted. Some of my clients websites were having issues after the update but was a easy fix and up and running now. Love the plugin but I’ve had to disable WordPress SEO (1.7.4) as it doesn’t work with my WordPress 4.1.1 running the Radius theme – happy to pay for the premium version, but need assurances it will work first! Thanks for getting this sorted guys, I better crack on and get 30 or so sites updated. It’s nice to see such a great plugin actively maintained. When i first heard about this security patch it was from another sources. Yet my dashboard was saying there are no updates available. Later i saw it was done automatically . Hi, I tried to update from 1.7.1 for a client but was not able to. What might be the reason for that? Thx for your help! Update successfull, two older Versions I updated via FTP. I have WordPress SEO on version 1.5.3 and it doesn’t give me the option to update. Also when I go to Plugins and search to download a newer version the option isn’t there. How do i get to 1.7.4? My version hasn’t auto updated (currently 1.7.1) yet. Is there already any news on what to with affected sites, we had a massive break in on three sites on the same shared hosting on the 11th at around midnight (the plugin was at that time not updated), malicious files were uploaded, unknown admins registered and tons of posts inserted directly through SQL. are still there, WordPress does say that there is 29000+ posts, yet I cannot see them. I haven’t found any literature on systems affected by this bug yet and was wondering if anyone would know what to do. Actually the websites don’t contain any posts posted by me so if there is an SQL trick to simply delete all of them this would probably suffice. Hey Can I use this Plugin In My Blogger Blog ? Please Reply as soon as possible..
Just to corroborate on what Apoorv Agrawal said on sitemap issue. I’m having the same problem, my sitemap page is showing 404 error page. Well hello yoast I don’t know since how long this issue was up but one thing that I’m certainly getting issue with is site map site map is not getting generated rather it’s talking it to 404 pages! Hope to get a solution! Thanks for the quick fix and communicating to us officially about this issue. Currently using free version and giving so impressive results..will be going for Premium version very soon for more features..
Just made the update for the plugin. It’s working fine now and there’s no error for my blog at all. Just few days ago, I activated the automatic plugin update feature in my WordPress, and now I can thanks to the option for securing my websites while I was enjoying my sleep. I received couple of messages from friends about the security breach, and vulnerability. I took sometime to manually check each and every installation of my WordPress that runs SEO Yoast plugin. My site’s plugin was also deactivated. If Yoast didn’t do this, I wonder who / what deactivated the plugin on so many of our websites. I´ve 2 websites they have ver 1.4 and didn´t update automatically, so I´ve to upload the latest version manualy, right? Is there the possiblity of loosing my custom Title and Meta Tags? Thank you for the update. Most appreciated here. Thanks God. I updated the plugin on the right time. So what happen to the websites already attacked? I can see spam links on the top of my page? I discover this issue few weeks a go and we thought its from Contact form 7. Never guess its from yoast. It’s probably got nothing to do with this issue, to be honest. We’ve not seen hacks in the wild yet. Thanks for the update Joost de Valk. I have updated plugin just now! @ambrosite asked what the fix was but no answer. It looks like WPSEO_Utils::filter_input() is called, which calls filter_input(). As FILTER_DEFAULT is filter used (without any flags) and PHP docs says: “This will result in no filtering taking place by default.”, how does this fix the issue? Look a bit further, we added sanitization functions that restrict the order and orderby values to a limited set. Thanks. I had only looked around the lines mentioned in the WPScan disclosure. I will have to study the code to learn from it. ive just looked through Yoast WP SEO plugin interface for a clients install and cant see version number reference anywhere, only ref is to verison 4 which i presume must be WP not Yoast , where do we look to check version number ? I have to say, “one would expect this would prevent an SQL injection” is somewhat rude. I write code that is used by almost nobody, and I take the time – my own time – to read the documentation of every single function I call. I don’t want to diminish your character or the nature of your contributions to the Internet and to WordPress as a whole, but this is a very flagrant piece of damage control. 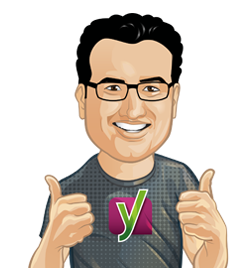 I’m compelled to call it out, I was recommending Yoast to my employer just this morning and I am quite embarssed. I really do regret it, now. Sorry, Joost but… they run a serious business and will be targeted. first of all, this code was contributed by an external developer. Second, this was reviewed multiple times and not found before. If you can guarantee me that if I let you do code reviews we’ll never find anything again in the code you have reviewed, I’d like to hire you! That’s an incredibly positive response Joost, I’m going to make sure I learn from you here. Come to think of it, I now owe you one free code review… let’s actually see what I’m getting into, then. All of the positive feedback here had me wondering if responses were being deleted. So at the very least my attack can serve as a testament that you stand by your work. If ‘one would expect’ was your way of excusing the contributor’s mistake, I’ve appalled myself. I thought you were referring to yourself. There is no shame in making it clear this was another person’s mistake. I originally read that statement as a reference to your personal coding habits. I’m very embarassed. Best regards. No need to be embarrassed. Bugs happen. To everyone. I could have made this mistake myself, probably. I know I made plenty mistakes like this before, luckily most of them were before we had a million+ users. Everyone make mistakes… So many people in SEO industry achieve good results from this plugin. So don’t be a d..k.
Great to hear that you updated the plugin as soon as an issue was found, even such a small one. Thanks again for the great plugin, love it! Never a good thing to happen but the fast update is much appreciated as always. 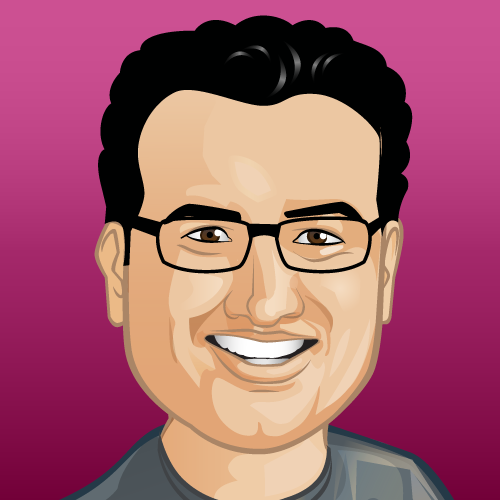 Hello, I have version 1.5.6 of yoast seo plugin but I don’t see the update available on the plugins administrator. How can I manually update the plugin? I have the same question as Marc. Where can I get the real 1.5.7? Does this mean the bug in 1.5.7 is fixed in wordpress-seo.1.5.7.zip as linked on https://wordpress.org/plugins/wordpress-seo/developers ? Thanks for your recommendation. I understand what you are saying, but circumstances make me prefer upgrading to 1.5.7. Oh, No ! I was very worried about the malware attack ! But, finally i fixed after learning from one of my Facebook friends status ! I cannot make these ‘facts’ jibe. What should I know to understand? Is the security issue relevant to me? I think this was patched as soon as it was found, and to be fair SQL injections can happen to anything anywhere. I noticed that the forced automatic update has deactivated the plugin on every install that I’ve seen so far, about 10 at this point. Obviously, the security fix was a must and if this is the price of being secure, then so be it. But, fair warning to all, if you have clients that had this plugin installed on a site that you handed over, you may be getting a call at some point in the future if their indexing starts to look off and they don’t know about this. Appreciate the fast turnaround in fixing the security hole. My premium plugin license expired two weeks ago so I can’t update. I obviously don’t want a security issue with plugin but can’t purchase a license update right now. Is there a way I can patch this myself? Thank you for the plugin update! I already had updated it the other day. Thanks for the heads up. All our sites were auto updated and see fine. Thanks for the update on the update. My sites all check out fine! Wish I could see you for the conference! Read the code, you can see what we did. We restricted both parameters to a defined set of values instead of allowing any string value. I have since removed it. Would anyone happen to know what the new code should be? Basically it should pull in the meta description (From the plugin) IF the user has entered it in the WordPress CMS, otherwise echo “Sample Text”. Thoughts on how to fix this please ? I don’t know how you’ve updated? That’s not an error people get when updating through WordPress.org. Getting that error as well on our installs. Same line number and normally we do our upgrades from wordpress.org after manually reviewing what’s coming down on a test install. There’s at least 1 thread on the wp.org forums asking for help about it. “normally we do our upgrades from wordpress.org after manually reviewing what’s coming down on a test install”: are you removing the old plugin dir and replacing it with a full extract of the new one? Sounds like you’re missing our vendor directory (which contains the auto-load files). Hmmm, it was working prior to the mandantory push by WordPress. Interestingly I moved the wordpress-seo folder out of the way, downloaded the version from your site, and uploaded. As soon as I activate the plugin it fails. When can one download the previous version from ? Would like to get it running again so that can export SEO settings, completely delete the plugin and data, and then import. Thank you. I’m glad you fixed the problem quickly for all your users ad thanks for that! Is the version 1.5.3 the version of the main pluggin or the version of the premium pluggin? 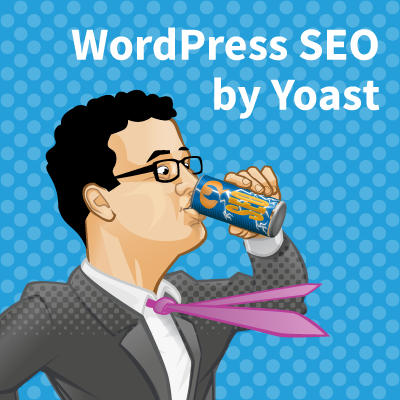 Because on all my sites, I have the version 1.3.4.1 of “Local SEO for WordPress SEO by Yoast”. Hey Guillaume, Local SEO is not affected, this is the “core” WordPress SEO plugin we’re talking about. This is how Marketing realy works! Very well communication and suuuuuper quick response for the problem. You are great guys thanks for it…. By the way, thanks for the fast plugin update and explanatory article. VaultPress is reading the version number wrong, trying to figure out who to talk to on their end. I first read the security issue on another blog and it was over exaggerated! I just realized it’s more of a bug than a threat. Kudos, I use your plugin on all of my sites. Thanks for fixing so quickly. Your plugins make my seo life so much easier for some of the on page nitty gritty stuff. Kepp up the great work! Thats why I love to use this plugin! Thanks for the quick update. Thanks for the quick turn around on this one! Would the forced update leave the plug-in deactivated if it was active when the update was pushed? My plug-in was deactivated sometime in the last 24 hours, and it has been auto-updated by the forced update to 1.7.4. I noticed that in two of my three installs, the plug-in was deactivated. And they were not auto updated. No… It should just leave it active. Does this apply to your other paid plugins such as the Local SEO plugin? no, no other plugins are affected. By the way are there any known conflicts with Optimize Press 2.0? My Yoast SEO is not updating. Thanks for fixing this so fast. I have the premium version and update went smoothly. Keep up the great work with this plugin. Personally I wouldn’t say this was a real security update. More of a minor bug fix. The fact it needed a targeted attack to execute kind of makes it like every day on the internet. If they gunna get you they will do. Thanks for fixing this so quickly and communicating to users about it! Thanks for fixing this quickly and getting it updated!